Cruise Norway has reported a record 2,040,166 cruise passengers for 2011, up from 1,821,111 in 2010. While ship calls dropped to 1, 1678 from 1,694, the average size of the ships was larger. In Oslo, the average call brought 1,810 passengers this year, compared to 1,728 last year. Direct passenger spending was estimated at NOK 2 billion. The cruise season is also getting longer, according to Cruise Norway, starting with winter sailings in February. Next year will see seven so-called winter cruises. These are targeting the British market, going to northern Norway for winter sports programs and the aurora borealis – the northern lights. While traffic was up for Norway as a whole, Northern Norway saw a drop – mainly in Tromso and Nordkapp – but an increase is expected for 2012 – with 2,019 calls and an estimated 2,363,535 passengers. An increase in German passengers has compensated for a drop in British passengers. Norway has 41 ports with cruise calls. 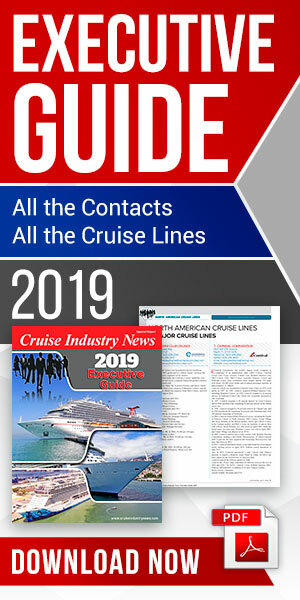 In a prepared statement, Cruise Norway said that more lines are considering sailings from Norway and flying passengers in for pre- and post cruise packages. The leading destinations are Bergen, Oslo, Geirangerfjorden, Stavanger, Flaam, Molde and Aandalsnes, Aalesund and the North Cape.